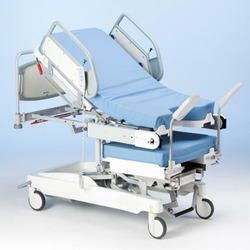 Our product range includes a wide range of labour delivery room bed, operation table and general labour table. Our organization is actively engaged in manufacturing, wholesaling, trading, importing and supplying of Labor Delivery Room Bed. The offered bed is precisely designed with the best material & comes with back section adjustment by an electric actuator. This bed has become the preferred choice of the patrons for its height adjustments. Customers can avail this bed from us at market rates. Backed by rich industry experience and knowledge, we are engaged in offering Operation Table. We check this operation table in terms of quality in order to assure its quality. 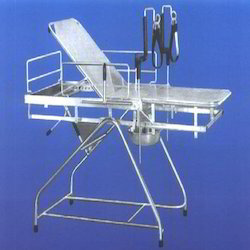 This operation table is provided in numerous specifications as per the requirements. In addition to this, our offered operation table is designed from the quality material & leading techniques. We have marked a distinct and dynamic position in the market by providing a high-quality array of Labor Table General. Our given range of table has backrest section adjustable on ratchet. This table is precisely designed at our well-equipped manufacturing unit. Along with that, we supply this table from our end after conducting a proper test against them.